Humans are continually exposed to the rich visual complexity generated by the repetition of fractal patterns at different size scales. Fractals are prevalent in natural scenery and in patterns generated by artists and mathematicians. 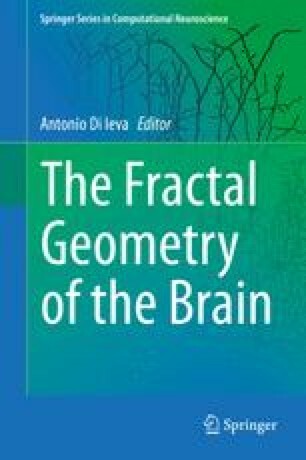 In this chapter, we will investigate the powerful significance of fractals for the human visual system. In particular, we propose that fractals with midrange complexity (D = 1.3–1.5 measured on a scale between D = 1.1 for low complexity and D = 1.9 for high complexity) play a unique role in our visual experiences because the visual system has adapted to these prevalent natural patterns. This adaption is evident at multiple stages of the visual system, ranging from data acquisition by the eye to processing of this data in the higher visual areas of the brain. For example, eye-movement studies show that the eye traces out mid-D fractal trajectories that facilitate visual searches through fractal scenery. Furthermore, quantitative electroencephalography (qEEG) and preliminary fMRI investigations demonstrate that mid-D fractals induce distinctly different neurophysiological responses than less prevalent fractals. Based on these results, we will discuss a fluency model in which the visual system processes mid-D fractals with relative ease. This fluency optimizes the observer’s capabilities (such as enhanced attention and pattern recognition) and generates an aesthetic experience accompanied by a reduction in the observer’s physiological stress levels. In addition to exploring the fundamental science of our visual system, the results have important practical consequences. For example, mid-D fractals have the potential to address stress-related illnesses. We thank our collaborators Cooper Boydston, Colin Clifford, Caroline Hagerhall, and Margaret Sereno for their useful discussions. This work was supported by an Australian Research Council grant DP120103659 to BS and RPT.